Borgo Panigale (Bologna), Italy, 18 July 2018 – Ducati has announced a new partnership with Epico and, to coincide with WDW2018, the company has presented a new digital platform for enthusiasts to get in touch with the personalities, riders, engineers and management of the company. Furthermore, the platform will collect the questions and answers to be made into a unique and original publication that will be out by the end of 2018. 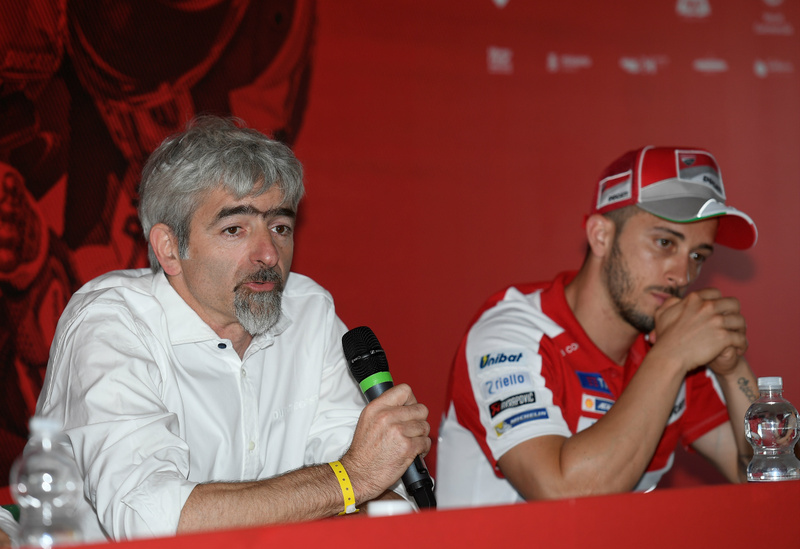 Starting from the large-scale world rally to be held in Misano from 20 to 22 July, which will gather Ducatisti from all over the world, enthusiasts of the Bologna-made bikes will be able to use the platform by Epico to ask all the questions that they've always wanted to ask of their “Ducati Heroes”. The queries receiving the most votes will be replied to and these questions and answers will go to make up the brand's first Social Biography. During the three days of the event all those present will be able to go to the Ducati Social Biography by Epico stand and ask their question. A wide variety of themes will be open for questions to give free rein to the curiosity of the Ducati fans: history, racing, design, motorcycles, Ducati Scrambler and the future. Expert employees in the various fields and other top figures of the company will be ready to provide answers and satisfy the curiosity of every enthusiast. Among the best known names will be official Ducati riders Andrea Dovizioso and Chaz Davies, as well as managers Paolo Ciabatti and Gigi dall’Igna. Andrea Ferraresi, Ducati Design Director, will be able to answer any queries on style, while Patrizia Cianetti, Ducati Marketing Director, is available with answers about company Experiences and Community. The list of spokespeople ready to reply to queries from the Ducati public includes Claudio Domenicali, CEO of Ducati and keen motorcyclist, who will be able to provide answers about the future and the company's plans. All enthusiasts can make their requests on epico.com/ducati starting from 12.00 noon on Thursday 19 July. The Ducati Social Biography will be published in November 2018 as an e-book and as a limited edition printed collector's item. You can follow the WDW on Ducati and Ducati Scrambler official social channels: Instagram, Facebook, World Ducati Week Facebook page and Twitter. Official hashtags are: #WDW18 #WorldDucatiWeek #ScramblerDucati #LandofJoy. For full information on tickets, activities and the programme of the World Ducati Week see wdw.ducati.it. The new official WDW app is available for the 2018 World Ducati Week, for constant updates on what's new before and during the event and can be downloaded free of charge from Apple Store and Play Store.